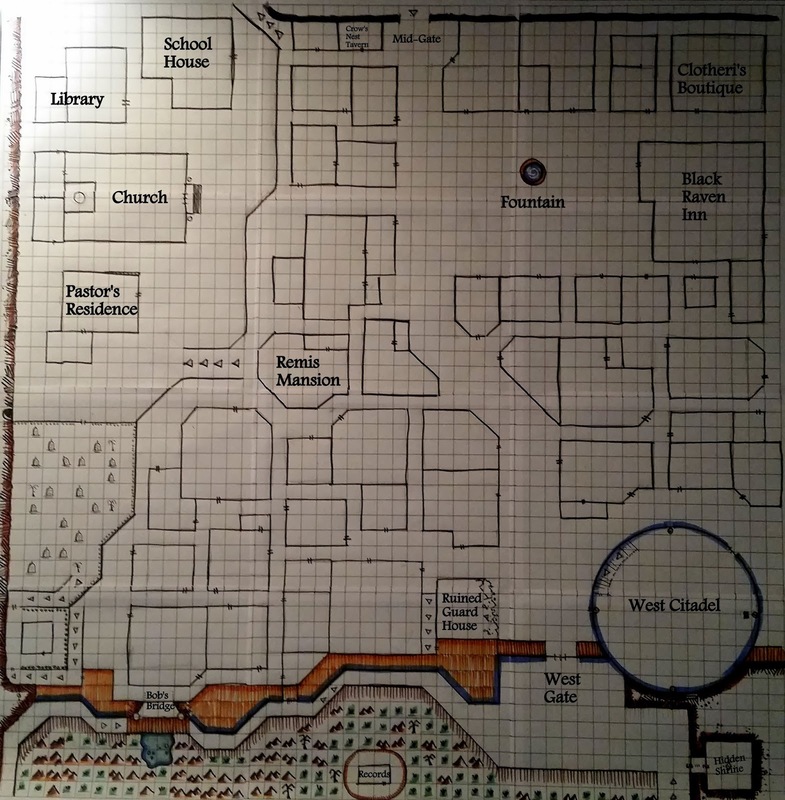 I've for some years now had the idea that literary stories, ones that map to literary conventions and that are satisfying in their own right as stories, are possible to produce through Role Playing Games (I'm thinking of the Pencil & Paper version). Some RPG designs purport to facilitate or enforce this idea, which collectively may be called "Story Games". However, despite the enthusiasm in some circles for Story Games, I will not be discussing those because my intention is to think about this in relation to my own game, which is Elthos RPG. 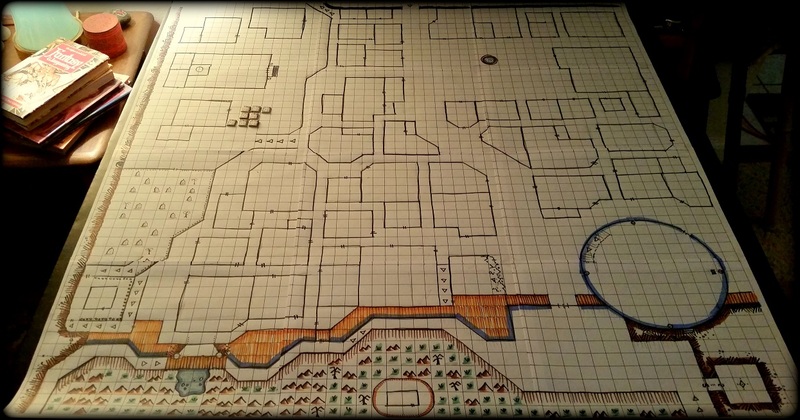 My game is what people now'days would probably call a "retro-clone" of OD&D (I would be inclined to dispute this, however). The point is that I'm interested in using what might be called a Traditional RPG to produce Literary Stories. First I should like to clarify what I mean by satisfying Literary Story. What I mean by this is that the resulting story has literary merit, follows in a general sense literary conventions such has having a story arc with a beginning, middle and end, shows a degree of character development, and by and large uncovers larger truths about life and the universe in which we live. In the end, when transcribed or told verbatim the story would entertain, and perhaps even enlighten the reader in some way. When an author writes a story they have control over the Characters actions in the story in a way that the author of an RPG story does not. The Players control the various Characters in the RPG, and those Players typically will do unexpected things that the Gamemaster has not anticipated. This forces the game to adopt a strongly improvisational stance. When you add the fact of luck through dice rolling into the mix, it positively ensures that game per game, the Gamemaster has little or no control over the outcome of each episode. As a game this works perfectly. But as a story creation tool, well, like I said, the traditional RPG presents challenges. One never knows if the Player Characters will even live or die in any given game. And yet, the goal is to achieve a satisfying story that stands on its own merits and can be read from end to end and be enjoyed purely as a story in its own right. Can RPG play result in such stories? I believe so. Does it require a special set of rules mechanics to do so by attempting to enforce "story"? I don't think so. What it requires is is a Gamemaster and Players who understand the nature of Story, and a willingness to achieve it through excellence of role play. That is all. Yet though this sounds simple enough, it is not easy. In the same way that Micheal Angelo was able to paint a masterpiece with relatively simple tools and following a standard formula of putting paint on a brush and applying it to a canvas, so too could true GameMasters (ie - Masters of the art) produce this kind of Story. The tools available are not nearly as important as the mind of the artist. I have created over the years a number of examples of this kind of play and have published them on my blog. There are currently two primary examples, both based on the actual play of my test games between 2009 and 2014. You can read those stories via this page: http://elthosrpg.blogspot.com/p/elthos-rpg-play-tests.html. I won't claim that they perfectly achieve the Ideal to which I aspire, but I believe they may suffice as examples of the direction I wish to go. Each entry is a Chapter that represents a single game session and they could be read in a ad hoc manner to get the idea, if you wish. However, the examples are rather long (totaling over 260,000 words for the 2011 - 2013 game) , and so I wouldn't expect to read them through in a single sitting. What I would like to do now is discuss, and open a dialog about, the challenges involved with this objective. One challenge is that of combining the chance involved in a dice game with the development of a coherent and satisfying plot line. A related challenge is the 'Cat Herding' required to get Players to stay on Story Target. In other words many players have a tendency to completely forget their character's goals or interests as they encounter things in the world, and hence may wind up chasing after every detail presented by the GM. Learning as GM how to build a Campaign so that it leads to good story is one of the arts of the thing that is not easily explained, nor easily learned except by trial and error, and an excellent understanding and appreciation of what makes a good Story to begin with. Another challenge is in the portrayal of a World that does not inhibit the game aspect, but at the same time effectively conveys the sense of the world, the scene and the characters involved. I'm not going to try to tackle all of these challenges in this post, as it would turn out too long to read for many people. I'll just ruminate some, and leave it at that, and then continue posting on this topic with "- Part 1, 2, 3, etc" as new thoughts come to me. So here I will talk a bit about the first challenge. That of Dice vs Story. It's probably the most commonly understood challenge, or at least the one I've seen most often discussed so far. It basically comes down to this: how can you create a coherent story when at any time the Heroes of the story can get themselves killed by an unlucky roll of the dice? Well, yes, this is a challenge indeed. When reading a story it would be hard to swallow "And then Prince Valiant slipped while fighting the lone Goblin, and accidentally chopped off his own head" due to a Fumble roll that went horribly wrong. That is something that could happen in an RPG because we are dealing with the luck of the dice, and one never knows just how bad things will go when dice are involved. So what's the answer to this? I can see a few possibilities. One, the Gamemaster might provide a buffer against such outcomes by including a "knock out" option for primary PCs. So instead of dying, they will knock themselves out. Yes, this is a mechanical modification, and a bit of a cheat in a way. But a modest one, and given it's utility for the purpose I wouldn't balk at including it as a house rule for my game. Another answer to this problem might be to ensure that in the event a major PC does happen to get killed, that in some way it turns out to be meaningful. This might be done by causing a kind of domino effect where in the end the fact that the hero perishes does something to the remainder of the story that causes lose ends to tie up a certain way, and thus still provides a satisfying story. In other words, you wouldn't say "And then Prince Valiant accidentally chopped his own head off. The end." You would instead finesse it. "And then Prince Valiant accidentally chopped his own head off... which resulted in Queen Illana marching with her army on Castle Frostguard in order to secure her sovereignty there, and this began the War of the Ladies and resulted in the Coronation of Prince Varin as King of Palamir." In other words, a Character death if handled with a bit of Story teller's magic can be the beginning of a new story, rather than The End. Another similar way to handle it, at least for some kinds of Worlds, would be to not have it that Death is The End of the Character, but a significant event instead... as in one case in my world where a Character died and found themselves on the way to Hades, and had an adventure there (one that allegorically reflected what was going on in the campaign). He was subsequently rescued from Hades as a result of a Quest on the part of the other players. So Death of a Character from bad luck can and should be incorporated in a way that makes the bad luck something that blends in and works for the whole of the Story. Who knows? Perhaps the Character obtained some secret knowledge in Hades, or found a treasure there and was able to bring it back... thus turning bad luck into good luck ere the end. Another way to handle this kind of thing would be for the GM to carefully ensure that no challenges are of sufficient difficulty to make it probable that the Player Characters will die. I'm not especially in favor of this approach because it runs counter some of my other goals as a GM, but for some it might suffice as a strategy. Simply lower the odds of a Bad Luck outcome. Lastly, the Players themselves might try their best to play smarter, not harder. That means playing Characters intelligently enough to ensure that they don't get themselves into situations where their odds are poor, and endeavoring to maximize their chances of success. This, however, may also be a kind of cheat, as Players should be expected to Role Play, and it is quite possible that their Characters are actually not that smart. I have a Character in the Whitewode Campaign who is only of average intelligence, and he often makes plans that are poorly thought through. And that's fine, as the player is playing true to the Character. The results are often comical, in fact. 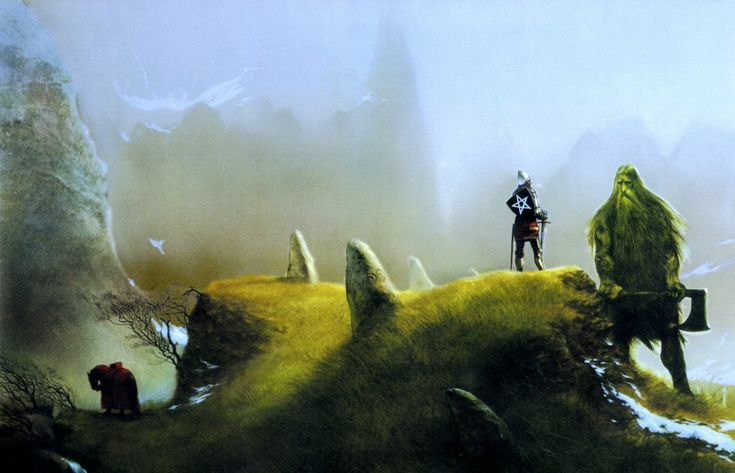 In any case, the issue of Dice vs. Story is one of those things that Literary RPG enthusiasts ruminate over, and there's quite a bit written about it out there if you poke around. The principal underlying the dilemma is that it seems difficult for one to play a game based on luck and still somehow derive an interesting and meaningful story out of it. I propose that it is certainly possible, and desirable. But it takes quite a bit of skill to pull it off, on the part of the GM and the Players alike. Yet, it is a worthwhile objective and I encourage people to try. I'll be ruminating about this further on, most likely. But for now I wanted to jot down these thoughts. I hope you will forgive me for the rambling nature of this post. In addition to making Story / Plot Maps, I also, of course like to make Tactical Maps which in this case shows the layout of the North West corner of the town. 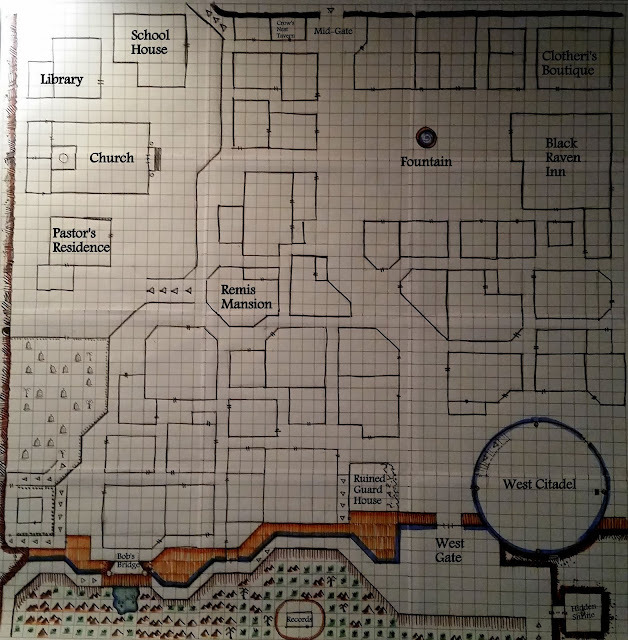 To the upper right is the infamous Black Raven Inn, and on the upper left is the Church of Whitewode, Library, and School House, as well as Reverend Russel's Pastoral Residence outside of which you can see the Player Character Group has assembled. RPGs do happen to be the most creative and fun hobby in the World. I think I could prove that in a court of law. Here's an overhead view with the main locations investigated thus far labelled.